A Very Special Mommy+Me Christmas Collaboration and a Link-Up. Merry Christmas Eve Eve! Today is a very special post you all because not only I am back with my sweetie Vivian, but there are two other super adorable little girls (and their mom) joining us in our super cozy, super casual but super festive Christmas Pajamas Style. 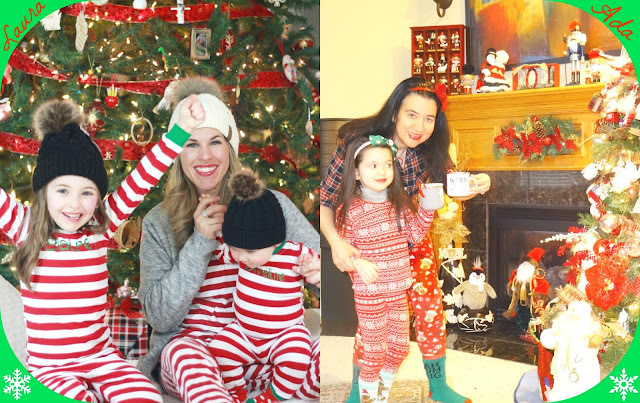 Today, I am teamed up with LAURA from I Do deClaire and the two of us and our girls are showing you guys how we dress down for Christmas at home, by our festive Christmas trees. 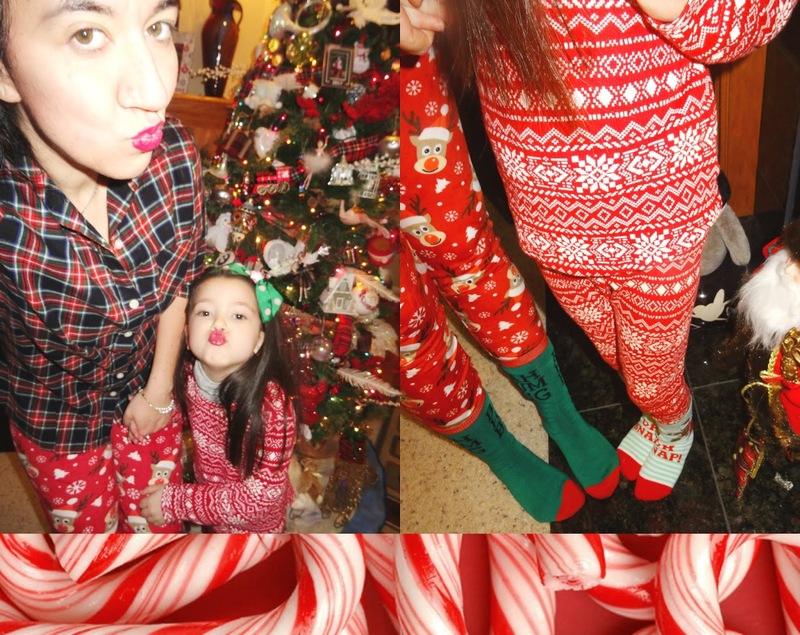 Pajamas all the way and a little ugly cute festive-wear on my side, as you ca see lol. I am also joining Laura's linkup which usually goes LIVE every Tuesday but she did it an earlier day this month since Tuesday is Christmas. 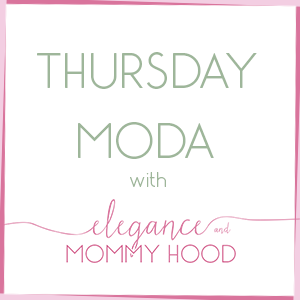 But speaking of Tuesday, like every last Tuesday of the month I have my "Skirting the Rules" monthly linkup with my friend Elsie and my outfit will be nothing like today's. It will be super festive and fancy, think New Year's Eve! OUR CHRISTMAS PAJAMAS FOR 2018. Vivian's Red Pajamas with white snowflakes are not really pajamas. They can double as casual wear. As a matter of fact, this month of December she has worn them to school twice. I love that they are Christmasy yet can be worn all Winter. Hers are actually a pair of leggings and a waffle t-shirt and they are by Old Navy. You can always count at Old Navy for very cute festive PJs. My PJs are also leggings. They are a stretchy velvet with the ugly-but-cute reindeer and I purchased them the other day at Meijer's. I paired them with a Navy/Red/Green Christmas Plaid Button-Down by Old Navy. Both of us are wearing festive socks too and they are both from Target. We accessorized with the same Red Lipstick. It is the "Stay Ginger" by Estee Lauder. We are also wearing Festive Christmasy Headbands. Mine is a red velvet one with a poinsettia flower (from "The Children's Store" actually Viv's headband) and Vivi's is from Albania (used to be my headband). It has a huge green bow with light pink polka dots. The photos were taken after our hot cocoa was almost all finished and we had to reapply our lipstick lol. We add marshmallows on top to our hot cocoa and a festive but yummy candy cane which later Vivian ate both of them. But of the cute Enamel Mugs are by Target. Ours say "Warm & Cozy" and "Fresh & Hot". I purchased ours last year but here, here and here are this year's versions. They are also on sale for 25% OFF which is a steal! So yeah, this is how we celebrate Christmas morning at our home, opening presents, drinking hot cocoa and staying cozy and warm in our Christmas PJs. What about you? 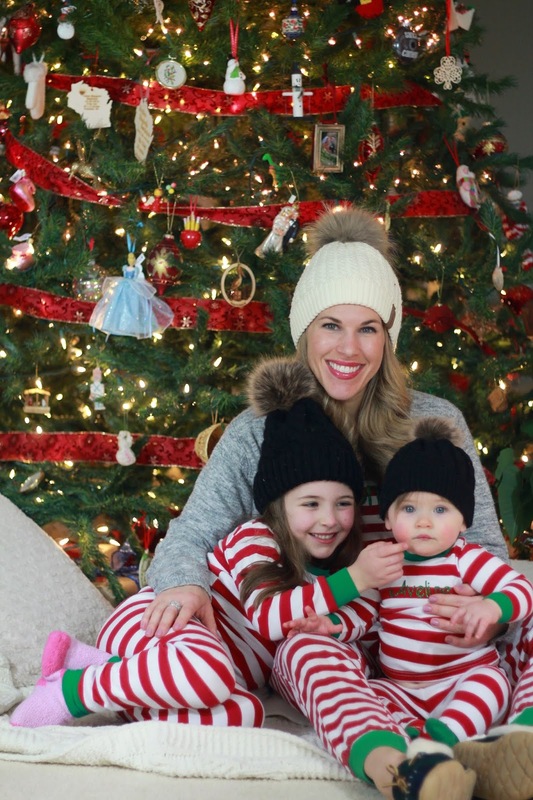 Do you rock Christmas PJs with your kids?! 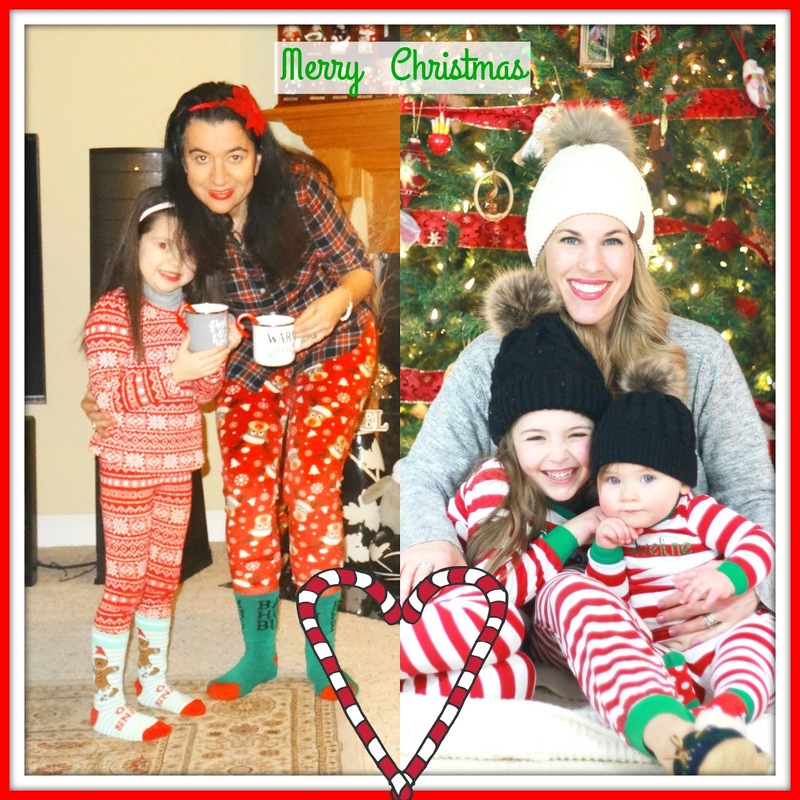 I love that Laura was able to find Matching Red+White Peppermint Candy Stripes Pajamas for both her and her daughters. All three of them look adorable and I love the fun Knit Beanies with the big pom poms. 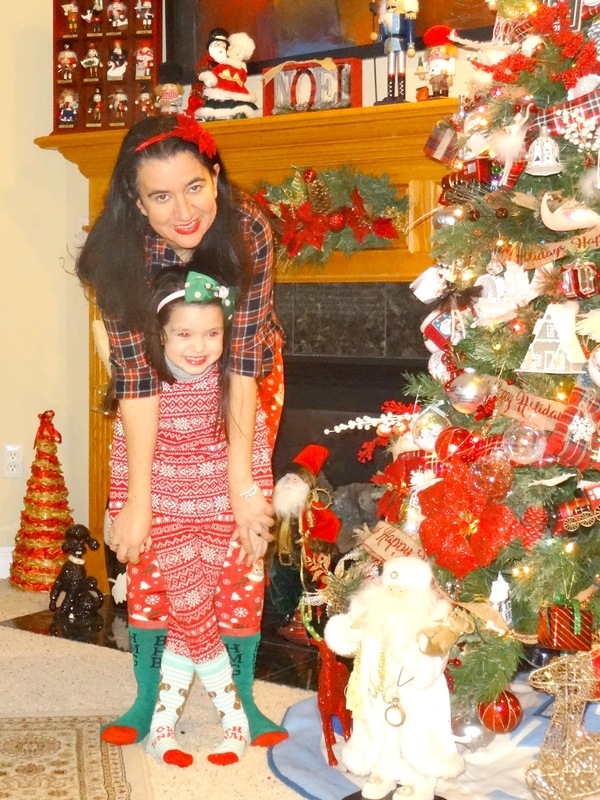 Laura's Oldest daughter Claire also celebrates her 6th birthday on Christmas, she is just 4 weeks older than Vivian. 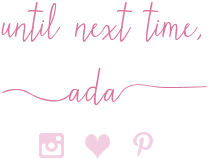 I have known Laura for 5 years that we have both been blogging now and we have done many other collaborations too, in some of which both of our firstborns were part of it. Vivian too loved all of Laura's photos and she is so excited that Claire and her are the same age. You can read Laura's Post as well. Happy Birthday Claire and Merry Christmas to you Laura and to your family!